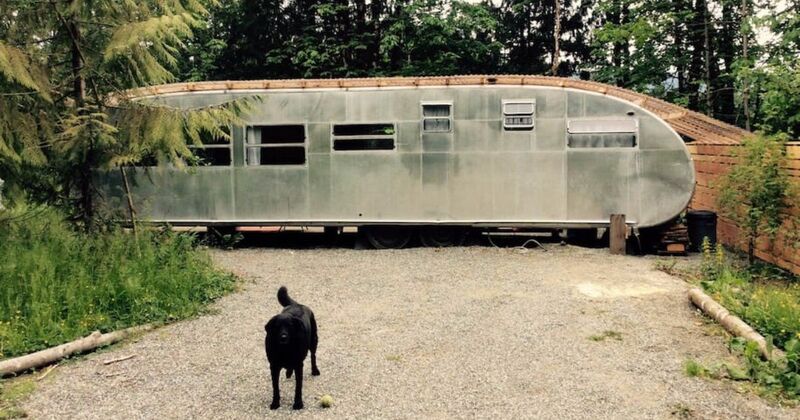 Brand-new, ultra-modern trailer renovations are all the rage these days. It is hard to beat the excitement of transforming something old into something fresh and contemporary. However, preserving the past can also be a beautiful thing, and highlighting exquisite design and craftsmanship from bygone eras can be equally thrilling. 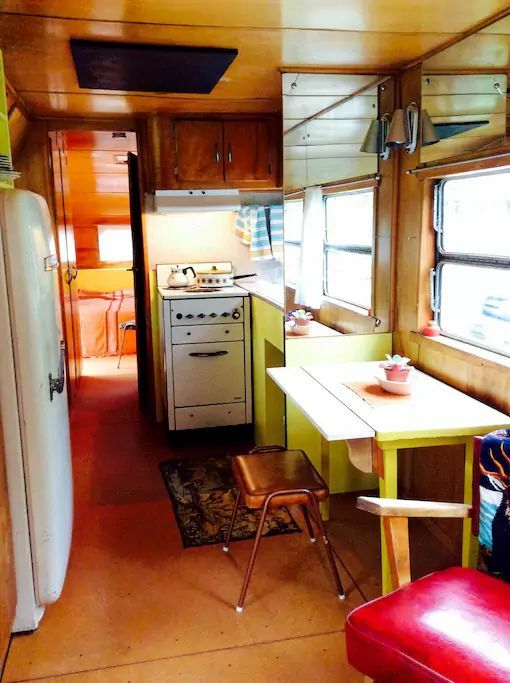 This 1951 Spartan trailer does just that. 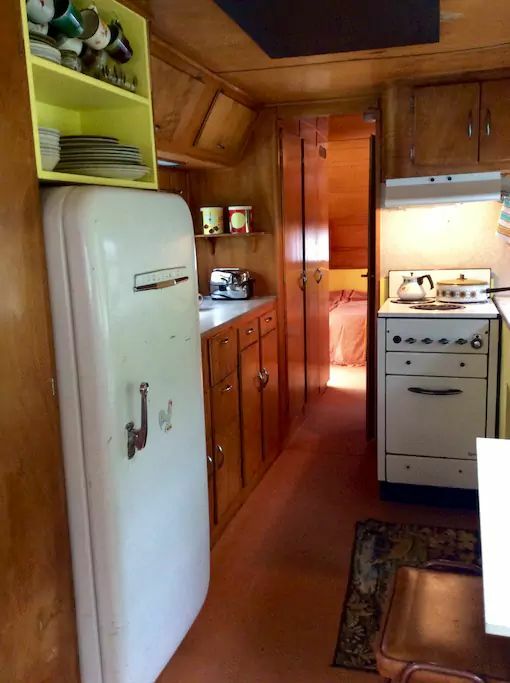 This Royal Spartanette has been restored to her heyday as one of the leading midcentury trailer models. When you book this Spartan on Airbnb, you will be able to experience the beautiful wood craftsmanship and decorative objects of the time period. 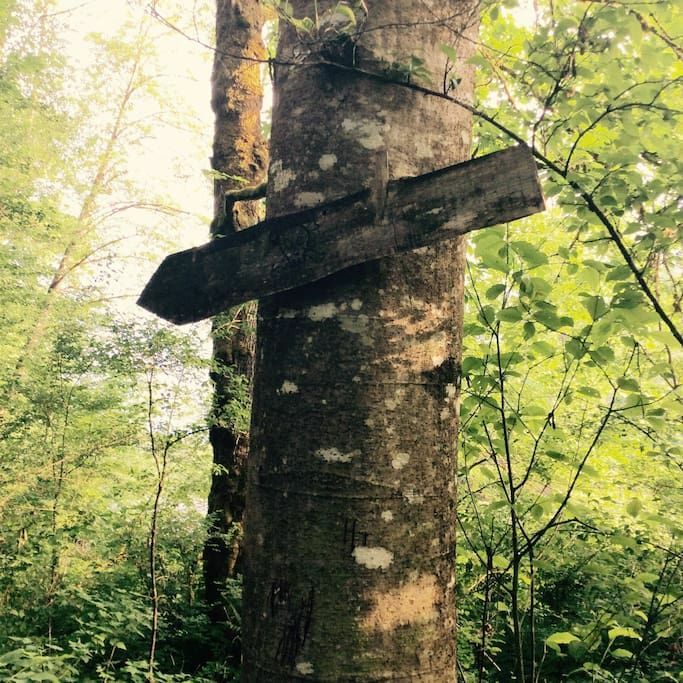 As an added plus, the Spartan sits on 68 acres (27.5 hectares) of working farmland allowing visitors to enjoy fishing, swimming, hiking and so much more. Check it out for yourself. This Spartan is pretty large compared to other trailers of the time. It is 35 ft (10.7 meters) and offers plenty of room for movement and creativity when it comes to interior furnishings. 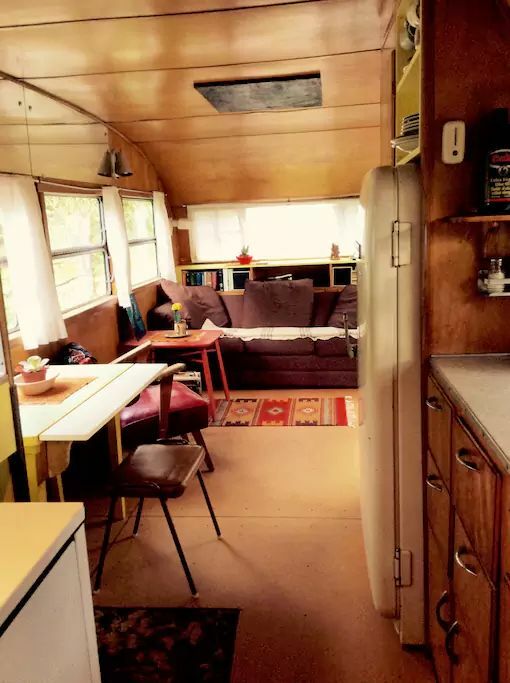 Large windows occupy much of the wall space in the trailer, filling the interior with warm, natural light. 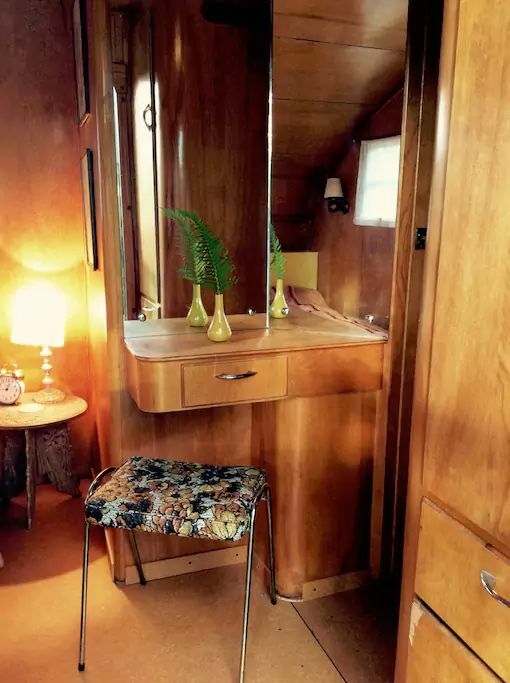 One of the best parts about this trailer is its fine attention to detail and craft of the wood paneling and cabinetry. This "Coolerator" vintage fridge is one of the highlights of the kitchen, completing its authentic look. While the layout of the trailer can remain rather open, there is also a sliding door that can be closed to create privacy for the bedroom. 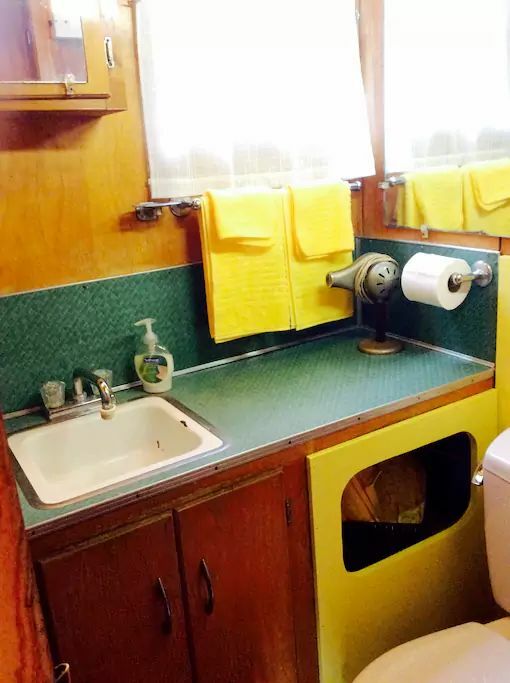 The bathroom has fun details such as a hairdryer straight out of the 1950s. The hosts report that it was in the trailer when they bought it and actually still works. Don't worry about having to cram into the bathroom to do your makeup or get ready in the morning because the bedroom is equipped with this perfect vanity. We love the soft curves of its design. 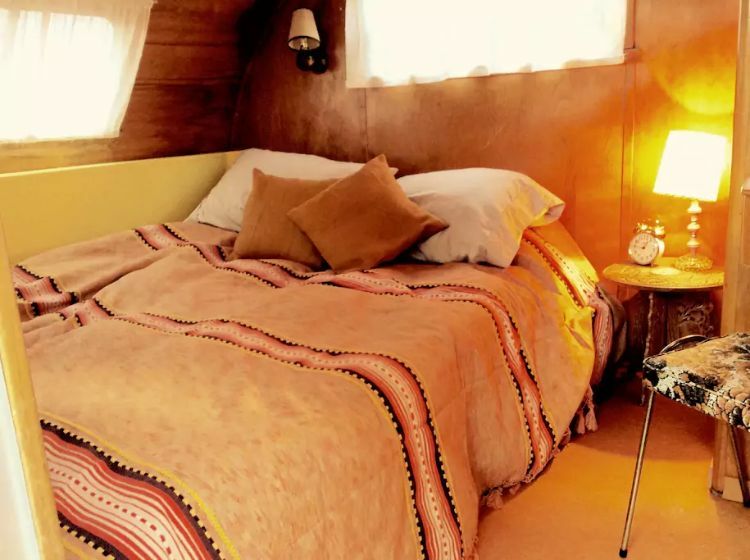 You might want to hit snooze a few times when waking up in this bed. But when you get up, you can hit the nature trails waiting right outside your door. Don't forget to share this article with your friends on Facebook, Pinterest, and Twitter!